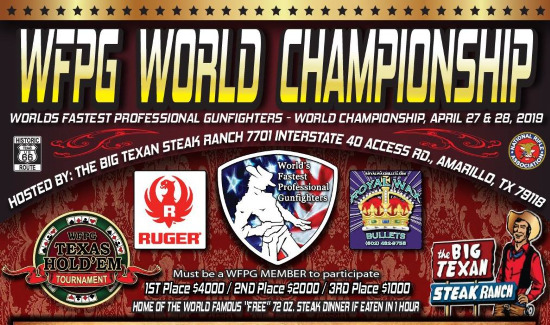 To the official online home of The Texas Panhandle Pistoleros, the premier club for Fast Draw in the Texas Panhandle! Fast Draw is the fastest growing shooting sport in the world, enjoyed by men, women, boys and girls of all ages. You might say this all started in 1873 with Colt's release of the Peacemaker. In the era of 1873 through the 1890s, the Romance and Legend of the American West was unlike any other culture in the world; this time period is the premise for Fast Draw. We use the best equipment available of the 1800's: single action revolvers and centerfire cartridges. We're out to capture the feel of the Peacemaker in your hand, the smell of holster leather, and the exhilaration of reacting as fast as you dare while remaining cool-headed enough to hit your mark as you compete head to head in classic old west fashion. In Fast Draw, we can find out how we would have shot in the 1800s with gunfighter period guns and rigs. Contact us on Facebook with any questions or more info.